From 10 rows to 10 million rows, CSV Explorer can open big spreadsheets. Search, filter, calculate, graph, or export to Excel in seconds. "We tried opening 20 million rows in Excel, and we couldn't use that laptop for 2 days." "We tried opening a 20 million row spreadsheet in Excel, and we couldn't use that laptop for 2 days." A few rows or a few million rows, CSV Explorer makes opening and analyzing big CSV files quick and easy. 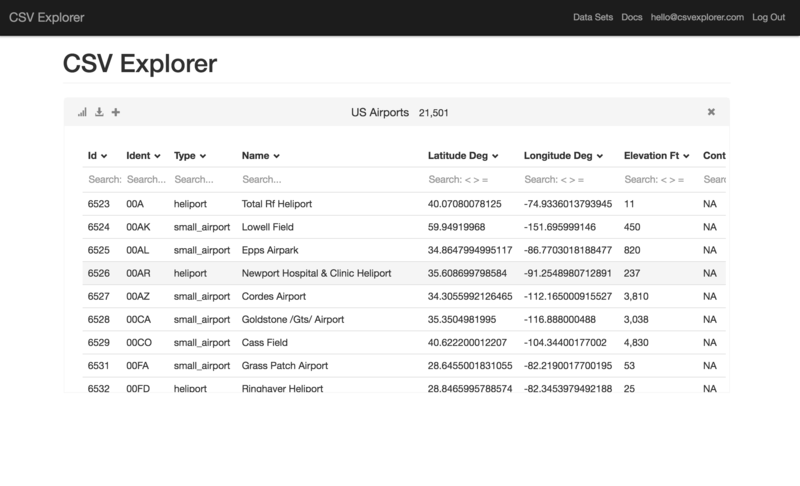 CSV Explorer is simple to use. In a few clicks, filter, search, and manipulate data to find the needle in the haystack or to get the big picture. Plot data, save graphs for presentations, or export the results to Excel for further analysis. The simplest way to work with big data.